I thought my trip to the beach early this week was going to be delayed due to fighting off the head cold that seems to be going around like a wildfire, but luckily (though it hit me hard) it was short in duration and I was feeling much better this morning. 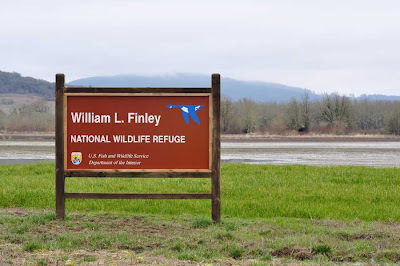 I was inspired to take a slightly different route to the beach and stop by Finley National Wildlife Refuge a little south of Corvallis. Amazingly, I've hardly ever been through this refuge, having visited maybe only once before. 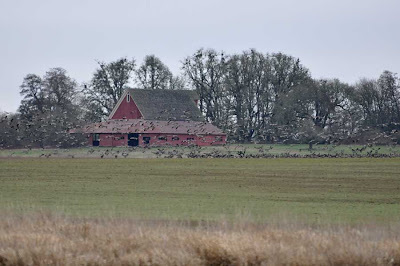 The refuge was set aside to provide wintering habitat for the protected dusky Canada goose, but of course many other species of plants and animals benefit. While I did see lots of duskies today, including many wearing the distinct red neck band, it wasn't the waterfowl that stood out on today's birding trip. It was the whopping seven different species of raptors! 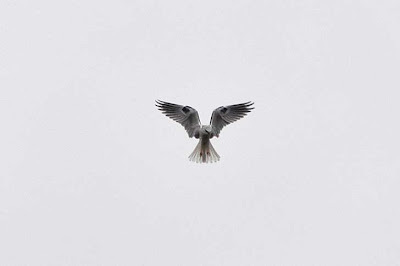 It started near the entrance to the refuge where I got a beautiful drive-by look of a rough-legged hawk. I did see one earlier this year at Ridgefield NWR, so it wasn't new to the year list, but that one was far away, and this one was perched right by the road. It's probably the best view of a rough-legged I've ever had: it was patient enough for two drive-bys on the way in, and it was still perched there on the way out. At one of the marsh overlooks I did finally spot some dunlin (90), which I would have expected much earlier on the year list. While I was excited to pick these up, it was then back to raptor watching as the next species seen included an immature bald eagle and a northern harrier. It was leaving the refuge where the seventh raptor was spotted - definite icing on the cake for a good afternoon's birding - a Cooper's hawk (91) perched alongside the road. There was a refuge count of 33 species for the day, with three being new year birds. Not bad at all! I hope to further boost that year bird total during the next few days which I will be spending near Newport, Oregon on the coast. Stay tuned! Crackin Kite! We don't get that one over here. Seven Raptors! Blimey, I'm pleased to get three! Cool sighting of the Kite! Great photo! I was very excited about the kite! Koll Center in the Rain, Ridgefield in the Sun!